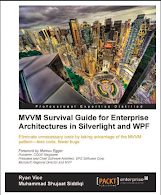 ASP.NET Web API is a microsoft's framework for creating HTTP services that can reach a broad range of clients including browsers and mobile devices. In this post we are going to discuss how we can create a simple HTTP service using ASP.NET Web API and observe them using Fiddler. We can create ASP.NET Web API projects using ASP.NET MVC project template. 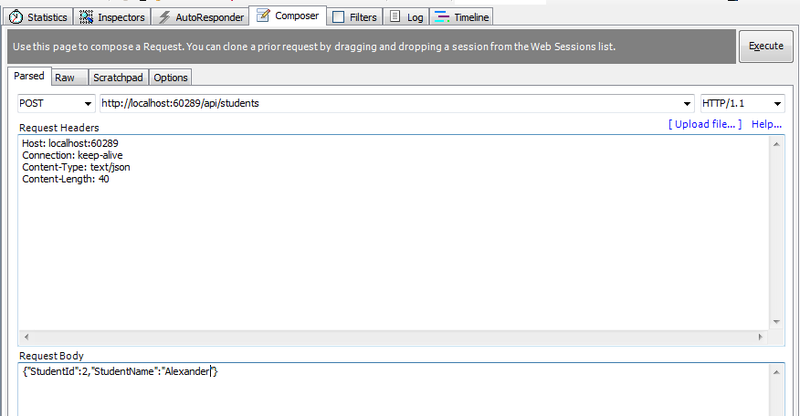 As soon as we select this type of project, we can select Web API in the second dialog shown for selection. The HTTP based rest services are implemented as Api Controllers in ASP.NET Web API. It is an object that handles HTTP requests. The service must inherit from ApiController in System.Web.Http namespace in System.Web.Http assembly. As we discussed above, ASP.NET Web API suggests implementing HTTP based REST services as controllers. 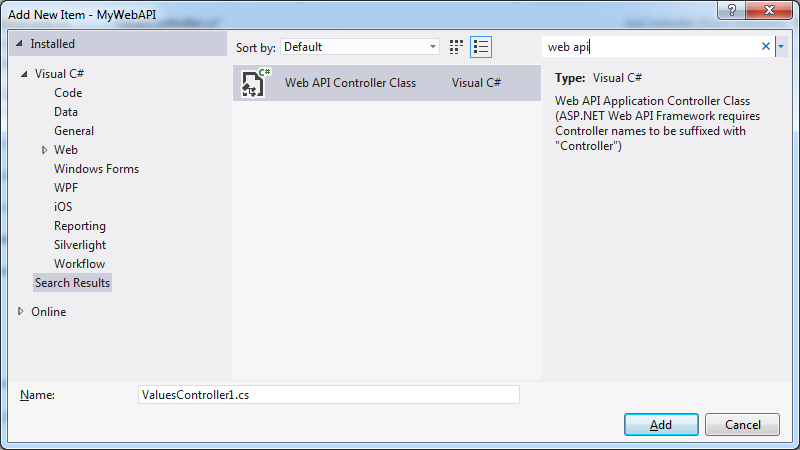 We can add a controller directly to Controllers folder in ASP.NET web API project. We can also use shortcut keys to bring up Add Controllers dialog. 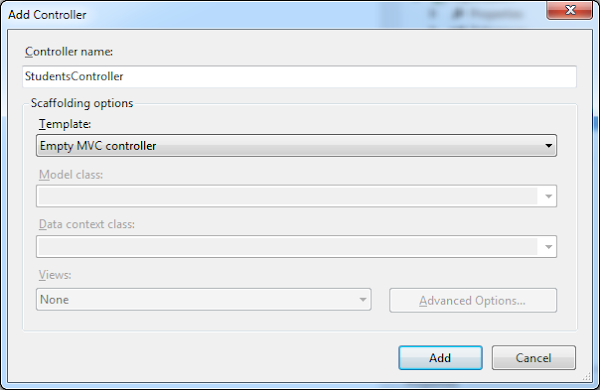 Since we would be providing the complete definition ourselves, let's just add an empty MVC controller. You can see that we have added definitions of Get, Post, Put and Delete methods. These methods would be used by the framework as we received the corresponding GET, POST, PUT and DELETE http requests for the service. These names are based on conventions, alternatively we can decorate these methods with HttpGet, HttpPost, HttpPut and HttpDelete attributes from System.Web.Http namespace. Now we update the contents of the file adding our definition of StudentsController. 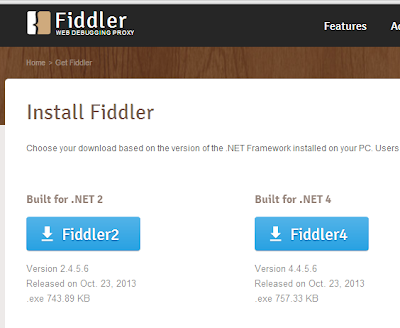 We can use Fiddler for debugging ASP.NET web api based HTTP services. 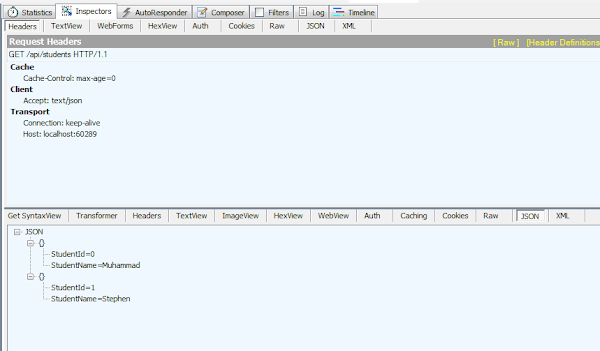 Fiddler is a Telerik utility which is used to inspect, analyze and generate HTTP requests. It can also be used to compose HTTP request messages. After analyzing a request, we can update and replay the message. 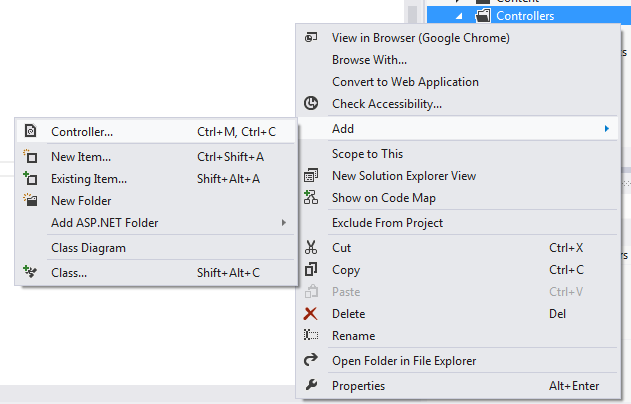 ASP.NET Web API fully supports content negotiation out of the box. We can request data in the required format by specifying the details in the GET request. Here we have picked up a HTTP GET request in Fiddler. 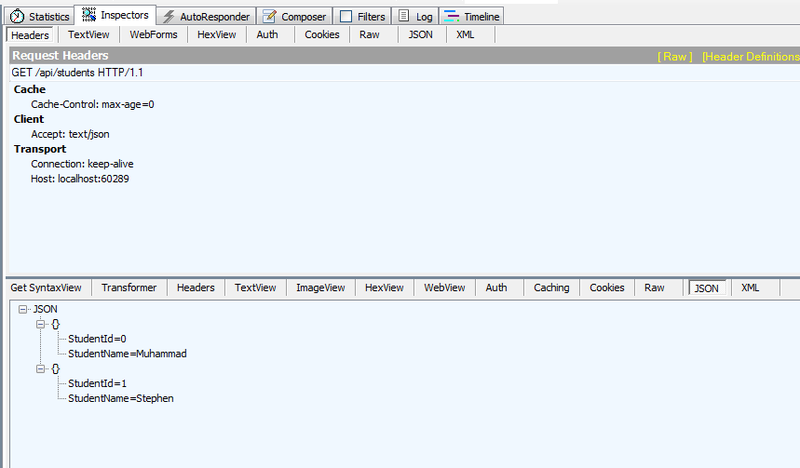 The request has the details about the content types supported by client browser. We can very well compose the GET request in Fiddler to request data in a different format. As we have just stated that ASP.NET Web API fully supports content negotiation. We can also request data in a different format. In the following we are requesting data in text/json format using Fiddler. We can also generated HTTP POST requests using Fiddler.Here we want to post some data in JSON format. We need to specify the content type to text/json in order for the service to correctly handle the data. The request is received by ApiController in the method used for handling HTTP post requests. By convention, this is the method starting with name as Post. We can also decorate the methods with specific HttpPost attribute if we don't want to follow conventions.